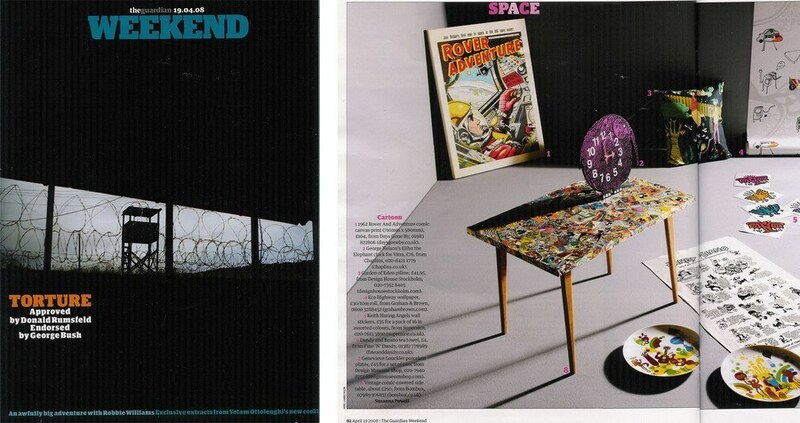 Upcycled Retro coffee table featured in The Guardian Weekend. This amazing feature in the Guardian magazine in 2008 was fundamental in kickstarting Bombus. The demand for these comic book tables was so high we struggled to find enough retro coffee tables to fulfill the orders.